Made by Bosmere who has been supplying quality garden tools and accessories since 1979. 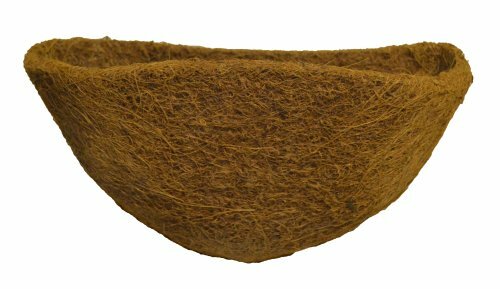 Bosmere's replacement coco liners are 100-percent natural and hold soil in the basket but lets water and air circulate. Each liner comes with a Soil Moist mat that holds up to 32-ounce of water. Soil Moist mat works like a sponge; it soaks up excess moisture and then releases into the soil as the soil dries out. This results in healthier plants and better blooms. Made from renewable resources. Pre-formed to fit 14-inch basket.